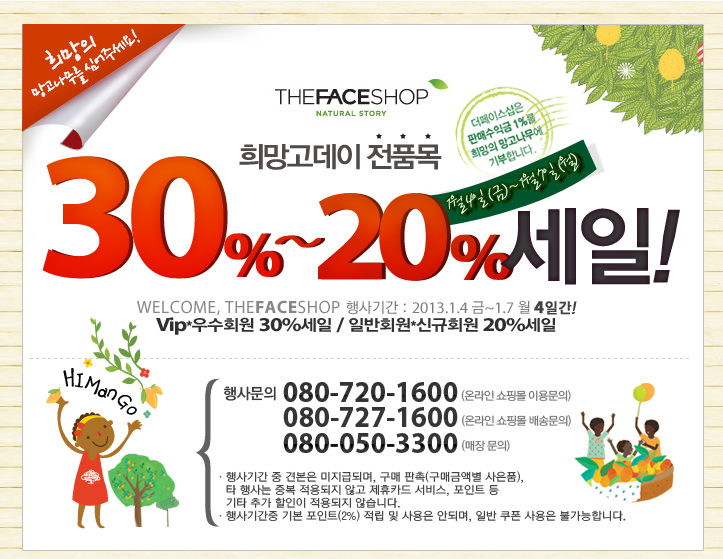 The first sale of the year for The Face Shop. However, be aware that certain "tourist" areas - like MyungDong - will not advertise this! I had to give them my "phone number" to confirm my membership at a store in MyungDong as supposed to other stores that won't even check for "membership", but allow it to all customers.